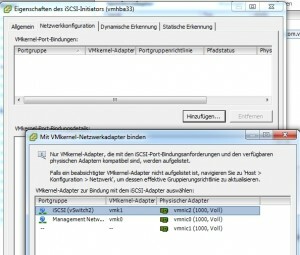 The way through a hardware initiator moves CPU load to the networkadapter. The ESXi could use the free CPU power for its guests now. 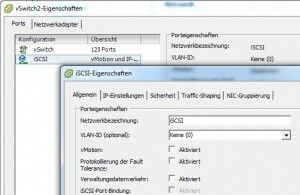 If there are multiple LAN ports on the ESXi it is better to use a separate adapter for iSCSI traffic. 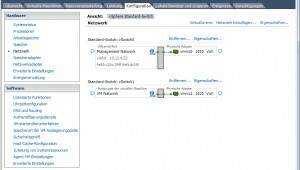 On the ESXi go to Configuration -> Network -> Add network. 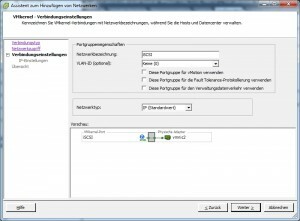 Choose VMKernel as connection type. 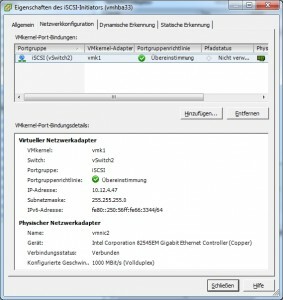 In the next step choose a free networkport. 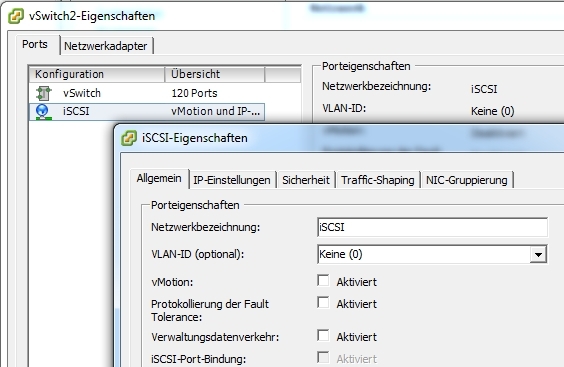 Give the portgroup a name, like iSCSI. None of the checkboxes must be activated. 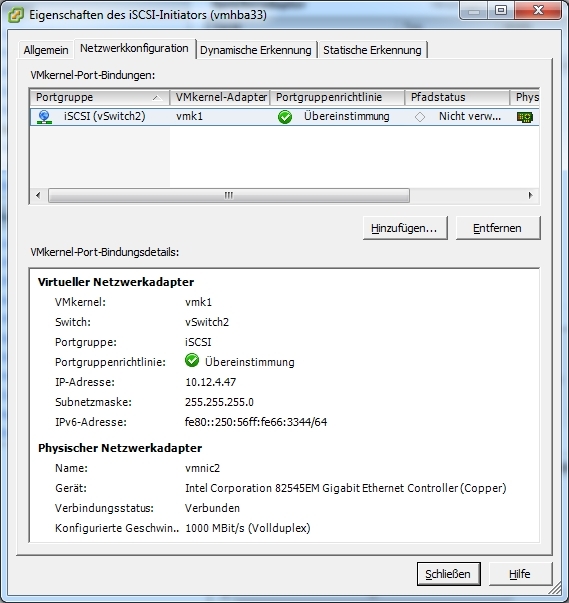 At the end the IPaddress could be set static or dynamic via DHCP. 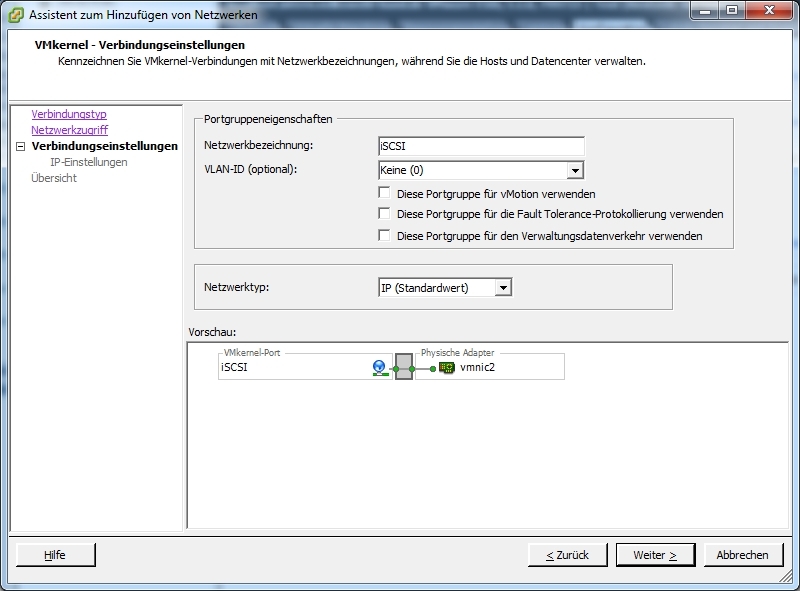 In the properties of the new Network you can see a new option (iSCSI-Port-Binding) which is greyed out and not activated. 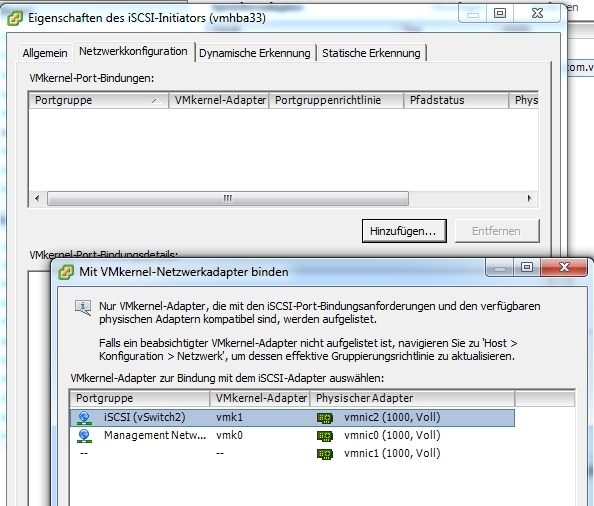 Now go to Configuration > Storageadapter and add a new Storageadapter. 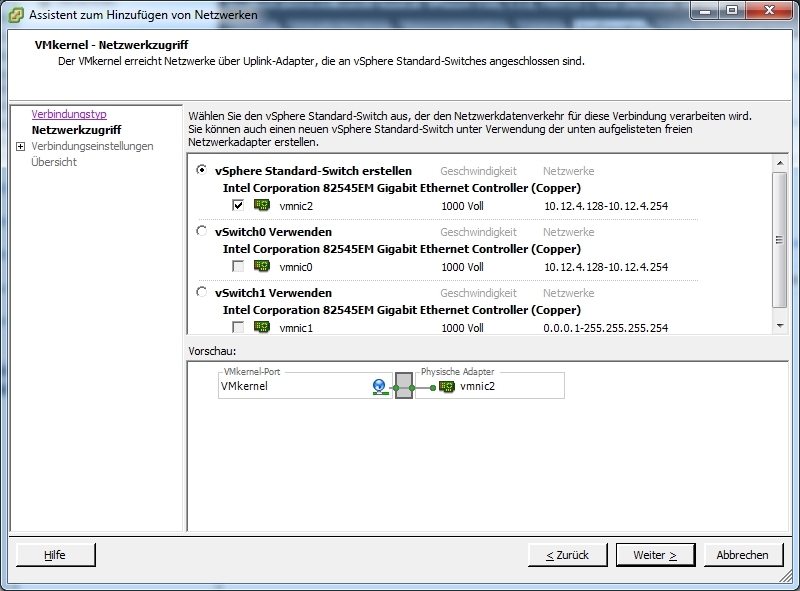 In the properties of the iSCSI-initiator add the new vSwitch “iSCSI” under Networkconfiguration. 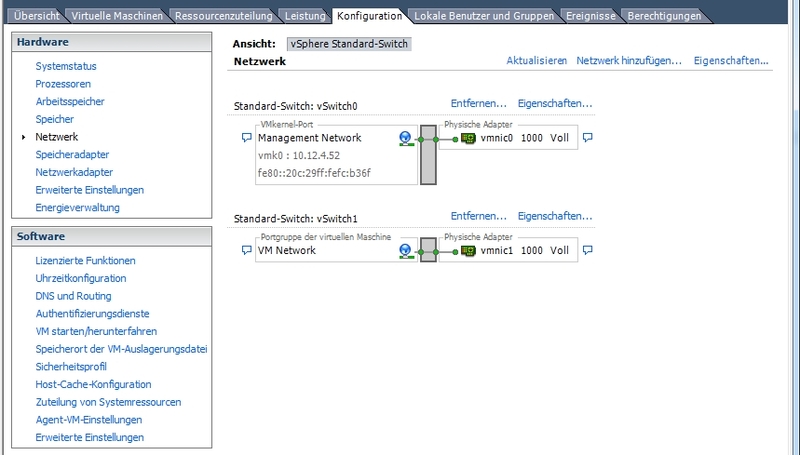 The vSwitche properties shows now the activated portbinding for iSCSI.